If you’re anything like us then you are always losing your keys, earrings, jewellery and other small every-day pieces! We have found that an easy solution to this problem is to dot trinket pots and trays around the home. 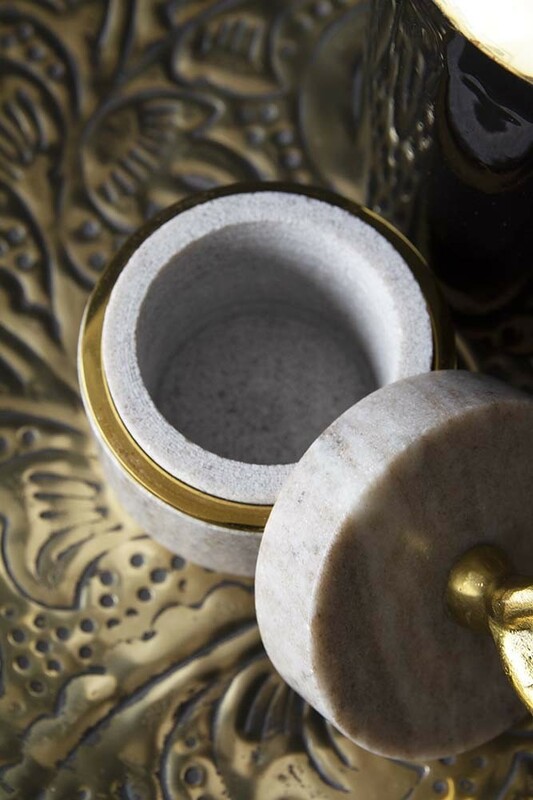 A simple way to organise yourself, the marble pot features gold detailing and a distinctive gold Hamsa Hand on the lid. 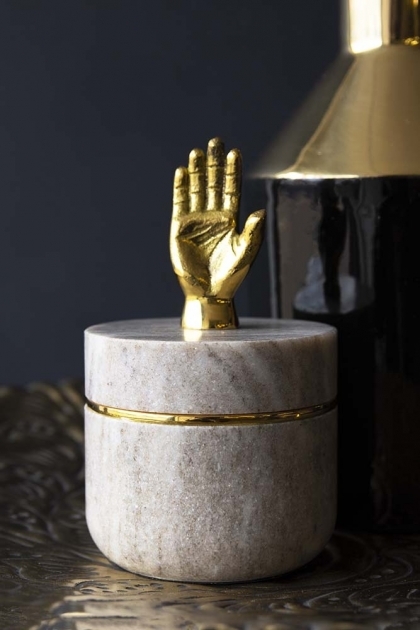 Beautifully unique the Hand Marble Trinket Pot makes an interesting display piece whilst also being super useful. The perfect gift for yourself or a friend, style the Hand Marble Trinket Pot on a bedside table, chest of drawers, console table or side table.